Anyone can cut and stack these cake layers with our clever baking trick. As showstopper desserts go, carrot cake is often overlooked, and that’s a shame. 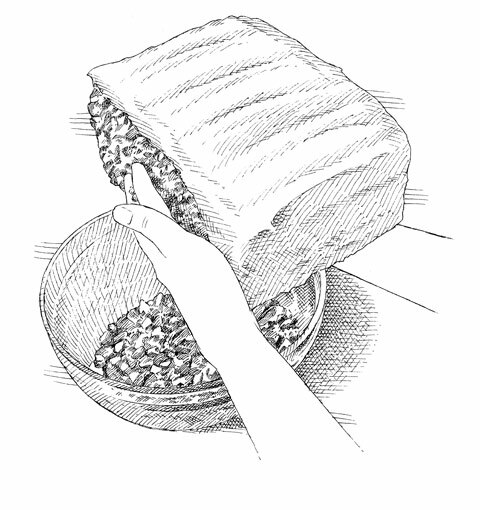 It’s not because it’s difficult; carrot cake is actually relatively easy to make because the typical “dump and stir” method means there’s no need to haul out the stand mixer. And it’s not that the cake isn’t delicious: Between its moist, fragrantly spiced crumb and its luxurious cream cheese frosting, it brings more to the table than many desserts. The problem really boils down to aesthetics. Because, if we’re being honest, traditional carrot cakes are rather homely confections—a snack cake typically baked in a serviceable 13 by 9-inch pan and topped with frumpy-looking frosting. And while that’s fine for an informal family dinner or bake sale, it’s less than ideal as the finale for a fancier occasion. Building a layer cake is a great way to dress it up, but stacking delicately slim slabs into a lofty tower comes with plenty of obstacles. For starters, the carrots that moisten and sweeten the cake also make it sticky and prone to breaking—and a real nightmare to slice horizontally. Additionally, no more than two layers (baked in separate pans) of that moist, heavy cake can be stacked without risk of toppling. We’ve seen bakeries pull off tall, stately carrot cakes but not without compromising the frosting. 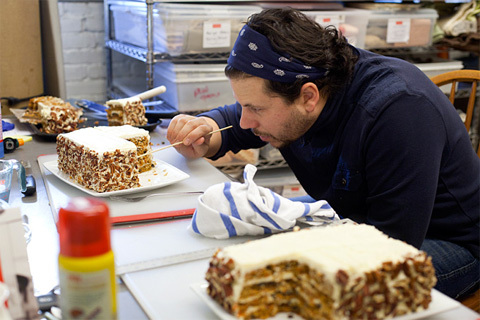 To make it thick enough to keep the cake structurally sound, they load it up with powdered sugar, dulling the characteristic tang of the cream cheese. So our challenges were several: For layers that were both slender and sturdy, we’d have to lighten the crumb without sacrificing moisture and also have to rework the frosting to support a taller profile, while avoiding a sickly sweet concoction. So what did we do? We reached for our half-sheet pan. 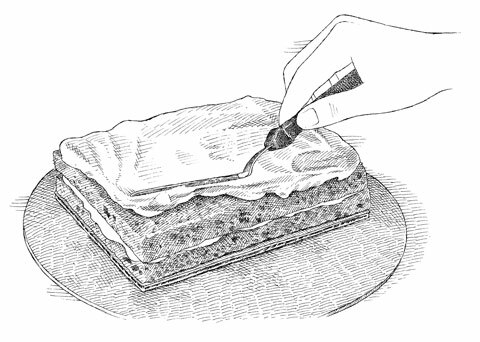 Making a thin cake in the sheet pan allowed us to bake and cool our cake in far less time than a conventional layer cake, and—cut into quarters—it produces four thin, level layers that don’t require splitting or trimming before frosting. Adding extra baking soda raises the pH of the batter, ensuring that the coarsely shredded carrots will soften during the shortened baking time. Buttermilk powder in the frosting reinforces the tangy flavor of the cream cheese without making the frosting too soft. And just like that, with nothing but a sheet pan and the surprise help of a few pantry ingredients, we managed to reengineer humble carrot cake as a four-tier, nut-crusted confection that can proudly claim its place among the most glamorous desserts. 1. 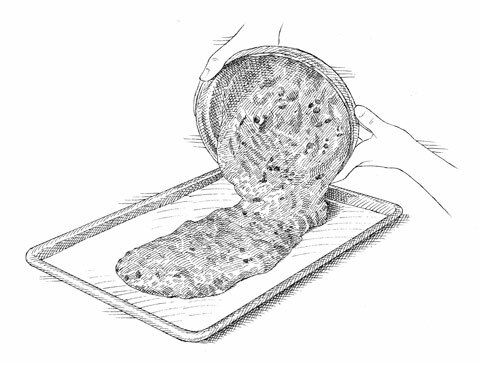 BAKE A THIN CAKE: Spread the batter on a baking sheet to make a thin, level cake that doesn’t need to be split horizontally. 2. 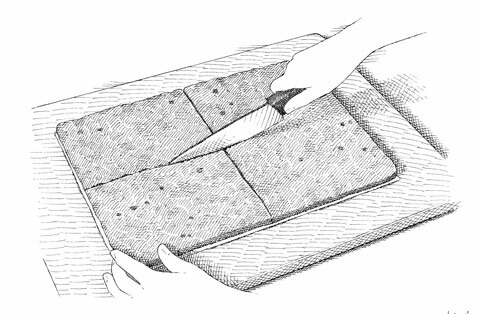 GET RECTANGULAR: Slice the cooled sheet cake into four equal rectangles. 3. STACK 'EM UP: Spread the frosting over one of the rectangular layers on cardboard, then repeat with remaining layers. 4. 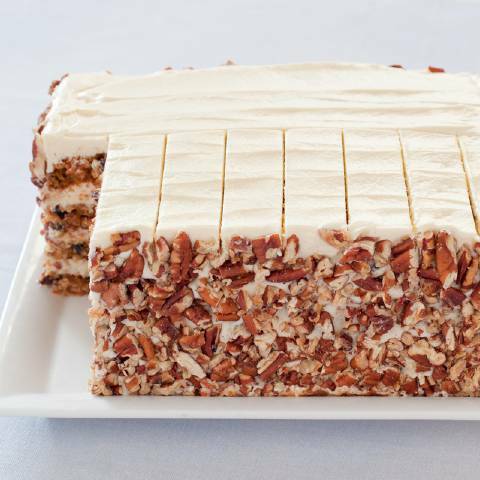 MAKE THE SIDES NUTTY: Press chopped pecans onto sides of cake to hide any imperfections and add crunch. 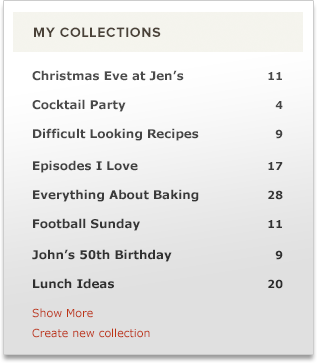 Now that you know how to build a beautiful carrot layer cake, make one for your next occasion—special or otherwise. We guarantee your guests will love the light, spongy crumb and tangy cream cheese frosting.